THQ Nordic is continuing to revive the properties of game's past with the release of SpellForce 3 today. The third entry in the SpellForce series, the title mixes up RPG character progression in the form of hero characters with RTS resource and army management. Nick and Jason took it for a spin Monday night to show off the ins-and-outs of its co-op. The title supports three player online or three player LAN co-op throughout the campaign, and in the Multiplayer mode where you can team up against A.I. opponents (i.e., "comp stomping"). What's interesting about the co-op here is that you can actually specify what your buddies can and can't do. For instance, maybe one of your friends wants to just focus on the resource management/base-building aspects of the game. Perhaps your other friend just wants to control the heroes and army units. SpellForce 3 lets you do just that. In some ways, this division of duties helps with some of the confusion that could arise otherwise as there aren't a lot of indications when another player has selected a particular unit or building. It's nice that you can play through the entire campaign with a buddy or two, but it's also worth noting that all campaign progress is kept with the host. Fortunately, whoever hosts the game can freely bring in any campaign save, so if you've played on your own for a bit and want to have some friends join you, you are free to do so! 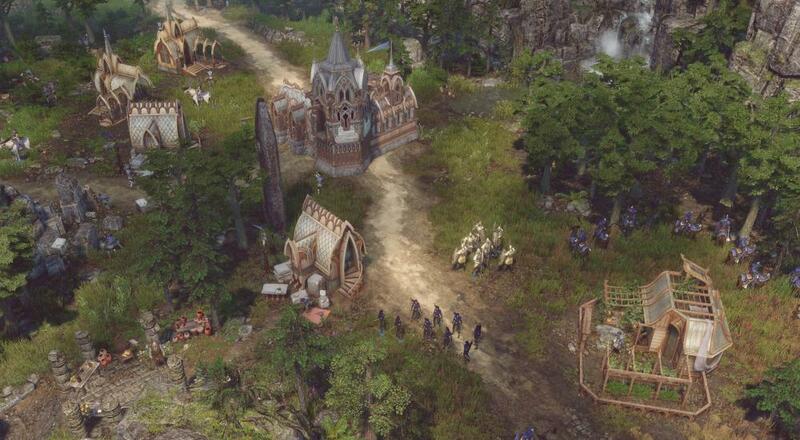 SpellForce 3 is available now on PC via Steam for $50. Page created in 1.0951 seconds.